Financial Checkup: LIBOR Group Settlement? 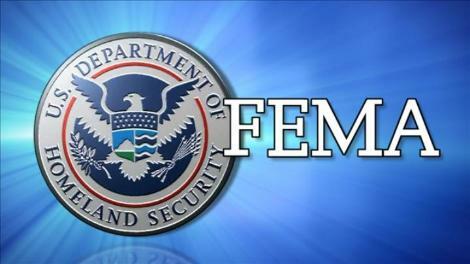 The Federal Emergency Management Agency (FEMA) is looking for contractors to construct temporary emergency camps inside the United States which can be ready for occupancy within a 72 hour time period and used to house emergency responders as well as “displaced citizens”. The camps are primarily designed to house emergency responders, but will also be utilized to shelter “displaced citizens,” who will be “given the first opportunities for employment within the camp,” according to the solicitation. The camps will be able to service up to 2,000 people at one time. The camps will be secured with fencing and barricades that will also serve to create areas that are “off limits” to certain occupants. Entry to the camp will be controlled through a photo ID system for all occupants and visitors. Medical treatment facilities, dining facilities, mobile showers and “morale welfare and recreation” facilities are all required as part of the contract. 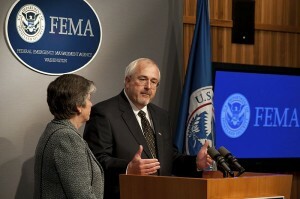 FEMA’s latest efforts to satisfy the demand for emergency camps represents a continuation of preparations on behalf of the federal government to prepare for civil emergencies and potential social disorder. Last December, Department of Homeland Security chief Janet Napolitano directed ICE (Immigration and Customs Enforcement) to prepare for a mass influx of immigrants into the United States, calling for the plan to deal with the “shelter” and “processing” of large numbers of people. 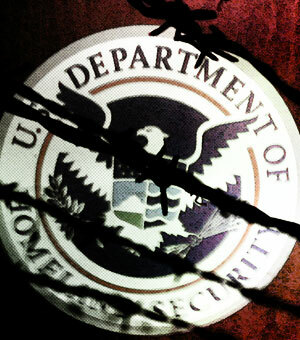 In 2006, Halliburton subsidiary Kellogg, Brown and Root was contracted by Homeland Security to build detention centers designed to deal with “an emergency influx of immigrants into the U.S,” or the rapid development of unspecified “new programs” that would require large numbers of people to be interned. Last year we received a leaked memofrom a state government employee detailing KBR’s efforts to hire subcontractors to provide services required for temporary “emergency environment” camps located in five regions of the United States, indicating that many of the camps have now been constructed and are ready for use. The construction of new detention camps inside the United States has provoked fears that the facilities could also be used to intern American citizens in the aftermath of a national emergency. A provision within the National Defense Authorization Act, signed into law by President Obama on New Years Eve, hands the government power to have American citizens arrested and detained without trial.